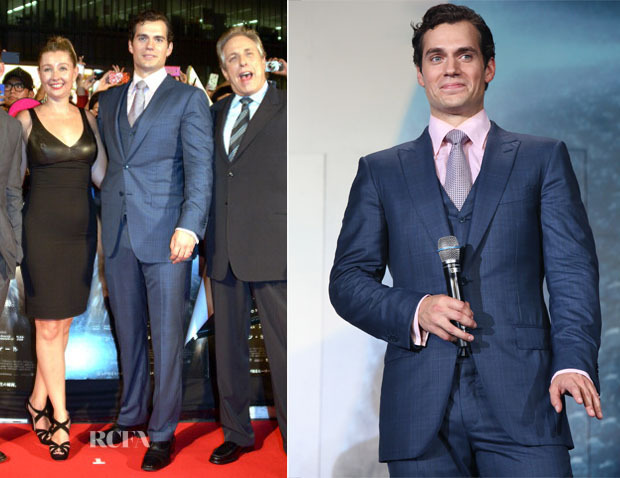 After a crazy summer, Superman returned to promote ‘Man of Steel’, with Henry Cavill taking to Roppongi Hills in Japan for the Tokyo premiere. The actor’s blue eyes really popped, wearing a light-blue three-piece suit with a pink shirt and a micro-dot blue-and-pink tie. Colour-wise this look couldn’t be more perfect. Style-wise he has come a long way from the early ill-fitted Tom Ford suits. ‘Man of Steel’ opens in Japan on August 30.